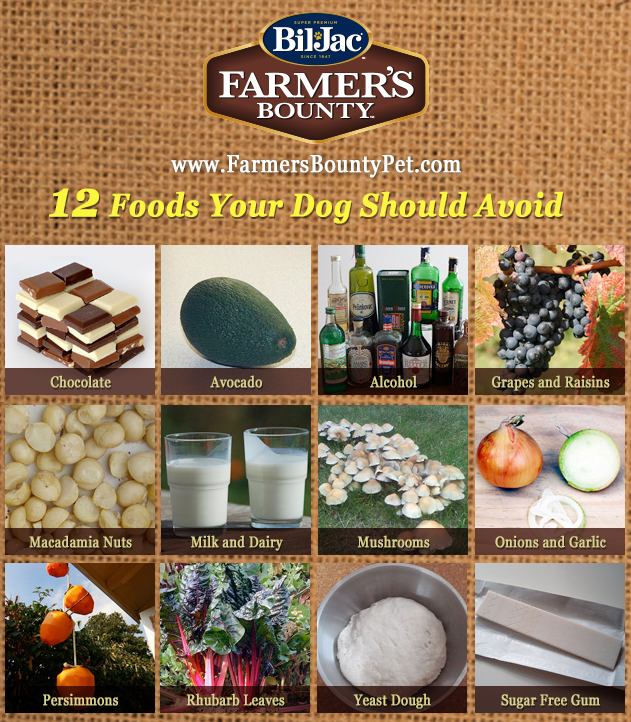 To celebrate National Pet Health Month, Farmers Bounty has offered to share the 12 foods your dog must avoid to stay happy and healthy! photo courtesy of the NEW Farmer's Bounty Dog Food (www.FarmersBountyPet.com). To learn more, visit Farmer's Bounty online, or at most Petsmart Stores nationwide. Happy National Pet Health Month!